Google Analytics has a limitation that only allows basic access to Goals 1 through 10 from a Google Analytics Account. However, within Google Analytics itself you have the ability to create up to 20 Goals. 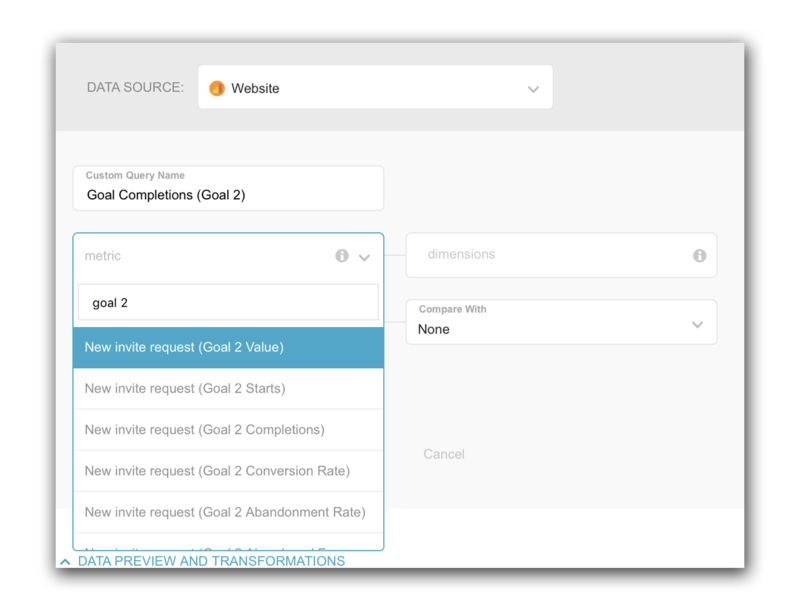 In Databox, we built the Google Analytics Query Builder to enable users to access all 20 Goals from their Google Analytics Accounts. Let’s work through an example of how to pull Custom Goals from Google Analytics into Databox through the Query Builder tool. Once inside the Query Builder tool, click on the Metrics dropdown and search for the Goal name that you want to visualize in Databox. From here, you can select any Goal from the selected Google Analytics Account. Now, you can select a Dimension to recategorize the metric, Date Ranges to view this custom metric for different time intervals, and Filters to include or exclude specific data. 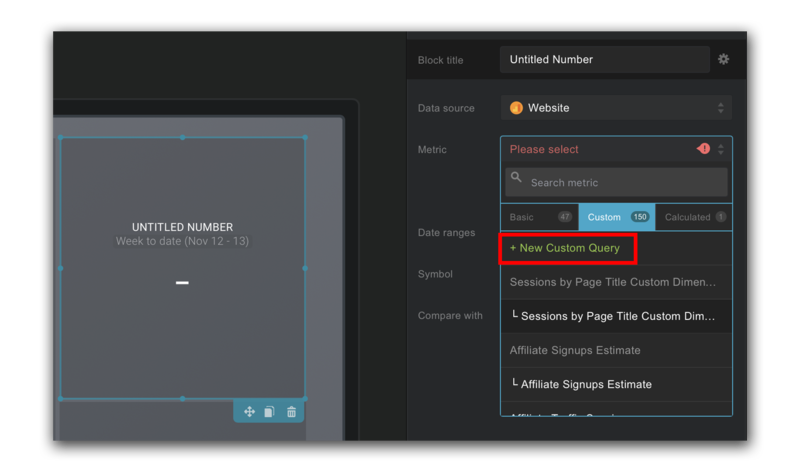 You can view a full guide on how to use the Google Analytics Query Builder here. Try if for try it for yourself! Please view our Pricing page for more information which Databox Plans support the Query Builder tool, or send us a message at [email protected] to request a free trial.